Carrethers is often overlooked by fans and analysts, which is mind-boggling considering he is 333 lbs. Last years fifth-round draft selection is a big-bodied defensive plug who will look to earn his share of reps as he develops into a pure nose tackle. In limited game time as a rookie he flashed an innate ability to handle double teams and hold his ground in run support. His lone start of the season was impressive as he amassed four tackles quickly, but ultimately ended up being his final start as well. An elbow injury suffered in the game held him out the rest of his rookie campaign. He continues to be mentored by teammate Corey Liuget before and after practice to work on their line chemistry and technique. 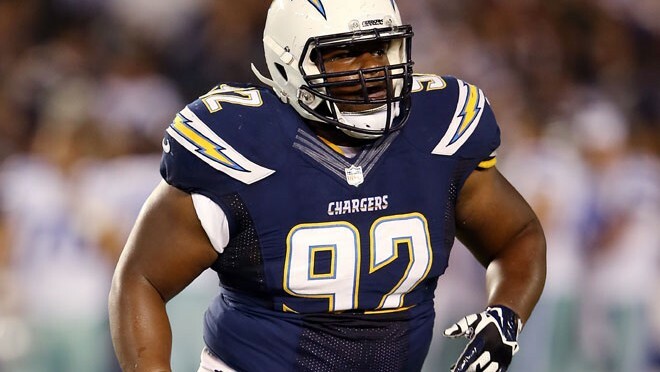 2015 is going to be his chance to prove that he is the future at the nose tackle position for the Chargers.